"Myles Before Myles" is a wonderfully funny selection of writings from the pen of Brian O'Nolan (aka Flann O'Brien, Myles na Gopaleen, George Knowall). In this fun-filled extravaganza he is, above all, an entertainer, a 'gas man'. Like much of O'Nolan's most entertaining work, the pieces in this did not originally appear in book form, but in periodicals and newspapers now almost impossible to find. 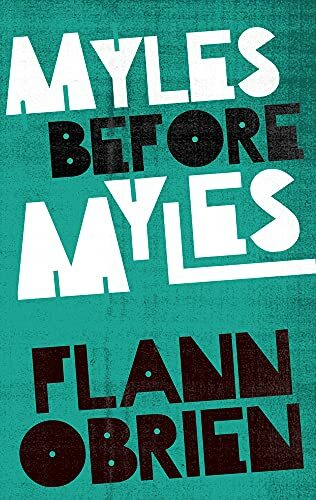 "Myles Before Myles" reveals that some of his wittiest and most unusual were published years before Myles na Gopaleen (or Flann O'Brien) had even been born, and were destined to lie in almost complete obscurity for many decades. Flann O'Brien is a cult hero whose comic genius has been praised by anyone who is anyone - from James Joyce to Graham Greene, Dylan Thomas to Anthony Burgess, Bendan Behan to S.J.Perelman. Old addicts (lucky enough to have discovered Flann in previous hilarious guises) will rejoice at the rediscovery of lost laughter and new readers will revel in one of the funniest writers in any language. Here is a feast for them all: a book full of the joys of Myles as student, as blatherer, as romancer, as Irishman, as poet - as Myles! With a penetrating introduction from compiler, John Wyse Jackson, "Myles Before Myles" (out of print for some twenty years) is a brilliant addition to the O'Brien canon.